GenreOnline.net: DC's LEGENDS OF TOMORROW News, Digital First Sale, New Comics & More! 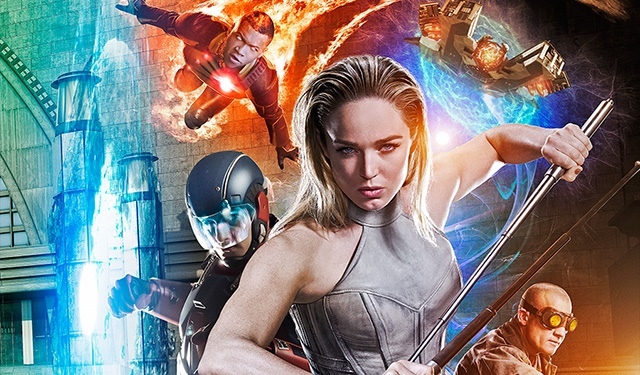 DC's LEGENDS OF TOMORROW News, Digital First Sale, New Comics & More! Don't miss out on the final episode of the Heroes vs. Villains crossover event. Catch DC's Legends of Tomorrow on Thursday 12/1 at 8/7c, only on the CW! DC Digital First Series Now On Sale! This week, save up to 64% off eBooks collecting some of DC's best-selling and most acclaimed digital first series. Stock up on BATMAN '66, WONDER WOMAN '77, ADVENTURES OF SUPERMAN and many more! Sale ends 12/5. We talk with writer Christopher Sebela about the digital series, INJUSTICE: GODS AMONG US - GROUND ZERO and the path to Injustice 2. Fun fact, Christopher was discovered as part of the first DC Talent Workshop. Still Time to Enter for the Whole Family! Enter for your chance to win a prize pack that consists of hand-wrapped gifts for your whole family based on your favorite DC characters and interests. This is the perfect opportunity to complete your shopping trip for the holidays.